Tengerite-(Y): Mineral information, data and localities. Originally named by James D. Dana and George J. Brush in 1868 after C. Tenger, Swedish chemist who described the mineral in 1838 along with Adolf Ferdinand Svanberg, but the new mineral was left unnamed. Tengerite was not well-described and subsequently lokkaite-(Y) and kimuraite-(Y) were described as new and independent species. Miyawaki et al. 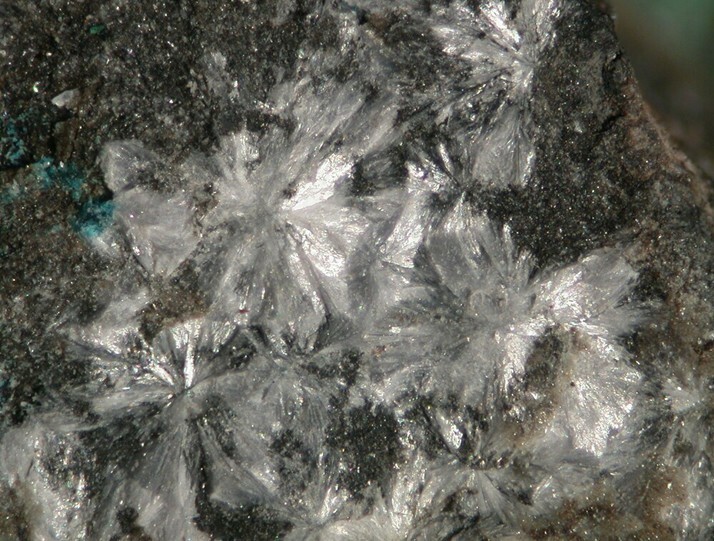 redefined tengerite in 1993. 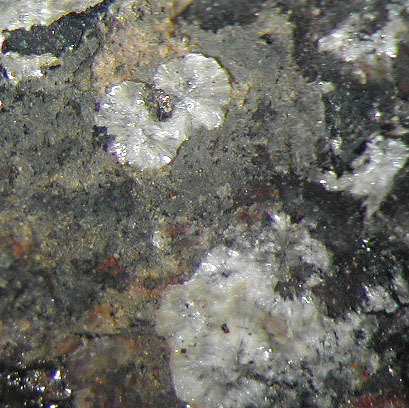 Investigation of type material showed that "tengerite-(Y)" from Ytterby was actually lokkaite-(Y). Tengerite as redefined does occur at Ytterby, but is much rarer than lokkaite-(Y). Tengerite-(Y) was not found on the type specimen, but an Ytterby specimen in the Smithsonian Institution contained redefined tengerite-(Y). Miyawaki et al. (1993) did not describe any of the physical properties of the redefined mineral. Photos in the tengerite-(Y) gallery might not be that species. Miyawaki et al. (1993) indicated at least five species have been called tengerite-(Y) including a new species. Information is needed to determine how tengerite-(Y) specimens have been identified. Thin coatings. Earthy and pulverulent. Miyawaki, et al. (1993); ICDD 27-91 is also tengerite-(Y) redefined. Hizenite-(Y) Ca2Y6(CO3)11 · 14H2O Orth. Kimuraite-(Y) Ca(Y,Nd)2(CO3)4 · 6H2O Orth. Lokkaite-(Y) Ca(Y,Gd,Nd,Dy)4(CO3)7 · 9H2O Orth. Thalénite-(Y) 7 photos of Tengerite-(Y) associated with Thalénite-(Y) on mindat.org. Iimoriite-(Y) 5 photos of Tengerite-(Y) associated with Iimoriite-(Y) on mindat.org. Keiviite-(Y) 5 photos of Tengerite-(Y) associated with Keiviite-(Y) on mindat.org. Yttrocrasite-(Y) 5 photos of Tengerite-(Y) associated with Yttrocrasite-(Y) on mindat.org. Allanite-(Y) 4 photos of Tengerite-(Y) associated with Allanite-(Y) on mindat.org. Allanite-(Nd) 4 photos of Tengerite-(Y) associated with Allanite-(Nd) on mindat.org. Aluminocerite-(Ce) 4 photos of Tengerite-(Y) associated with Aluminocerite-(Ce) on mindat.org. Gadolinite-(Y) 4 photos of Tengerite-(Y) associated with Gadolinite-(Y) on mindat.org. Yttrialite-(Y) 3 photos of Tengerite-(Y) associated with Yttrialite-(Y) on mindat.org. Britholite-(Y) 2 photos of Tengerite-(Y) associated with Britholite-(Y) on mindat.org. Svanberg, Adolf Ferdinand and Tenger, C., 1838, Årsberätt. : 16: 206 (as Kolsyrad Ytterjord). Dana's System of Mineralogy, 5th. edition, 1868, 710. Adam, M., 1869, Tableau minéralogique, Paris: 24 (as Carbonyttrine). Genth, Frederick, 1889, American Journal of Science: 38: 199. Hidden and Mackintosh, 1889, American Journal of Science: 38: 474. Hidden, 1905, American Journal of Science: 19: 425. Sjögren, 1906 Geologiska Föeningens I Stockholm. Förhandlinger, Stockholm: 28: 96. Flink, Gustav, 1910, Arkiv för Kemi, Mineralogi och Geologi, Stockholm: 3: 166. Larsen, E.S., 1921, The Microscopic Determination of the Nonopaque Minerals, First edition, USGS Bulletin 679: 142. Vogt (1922) Vidensk.-Selsk. Skr., Oslo, Math.-Nat. Kl., no. 1: 23. Iimori, T., 1938, Tengerite found in Iisaka, and its chemical composition, Scientific Papers of the Institute of Physical and Chemical Research (Tokyo), 34, 832-841. Palache, C., Berman, H., & Frondel, C. (1951), The System of Mineralogy of James Dwight Dana and Edward Salisbury Dana, Yale University 1837-1892, Volume II: Halides, Nitrates, Borates, Carbonates, Sulfates, Phosphates, Arsenates, Tungstates, Molybdates, Etc. John Wiley and Sons, Inc., New York, 7th edition, revised and enlarged: 275-276. Miyawaki, Ritsuro, Kuriyama, Junko, and Naki, Izumi, 1993, The redefinition of tengerite- (Y) , Y2(CO3)3.2-3H2O, and its crystal structure, American Mineralogist, 78: 425-432.
ⓘ Cardiff Uranium Mine ? Vorma, A., Ojanperä, P., Hoffrén, V., Siivola, J. & Löfgren, A. 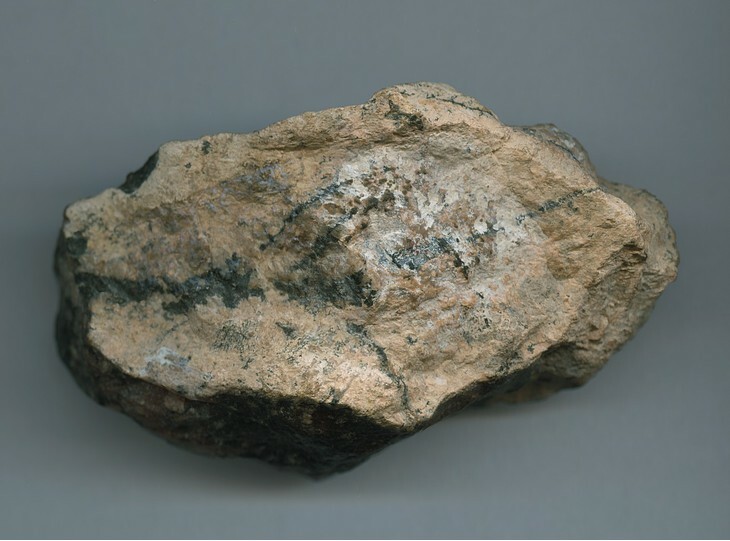 (1966): On the rare earth minerals from the Pyörönmaa pegmatite in Kangasala, SW-Finland. Bulletin de la Commission Géologique Finlande 222. 241-274. Matsubara & Miyawaki (2006) Catalogue of Japanese Minerals (Tokai University Press); Takai, Y. & Uehara, S. (2013): Hizenite-(Y), Ca2Y6(CO3)11•14H2O, a new mineral in alkali olivine basalt from Mitsukoshi, Karatsu, Saga Prefecture, Japan. Journal of Mineralogical and Petrological Sciences, 108, 161-165.
ⓘ Høgetveit Feldspar Quarry ? ⓘ Ivedal 1 Feldspar Prospect ? Vogt, Th. (1922): Über Thalenit von Hundholmen im nördlichen Norwegen. in Brøgger, W.C, Vogt, Th. & Schetelig, J. (1922): Die MIneralien der südnorwegischen Granitpegmatitgänge. II. Silikate der seltenen Erde. Videnskapsselskapets Skrifter. I.Mat-Naturv. Klasse 1922. 11, 19-47; Palache, C., Berman, H., & Frondel, C. (1951), The System of Mineralogy of James Dwight Dana and Edward Salisbury Dana, Yale University 1837-1892, Volume II: 276.
ⓘ Tangen Feldspar Mine ? Neumann, H. (1985): Norges Mineraler. Norges Geologiske Undersøkelse Skrifter 68 p. 102.
ⓘ Rømteland Feldspar Quarry ? Voloshin A.V., Pakhomovskii Ya.A. [Волошин А. В., Пахомовский Я. А.] (1986): Minerals and evolution of mineral formation in amazonite pegmatites of the Kola Peninsula [Минералы и эволюция минералообразования в амазонитовых пегматитах Кольского полуострова]. Nauka, Leningrad, 168 pp. (in Russian); Voloshin A.V., Pakhomovskii Ya.A., Yakovenchuk V.N., Men'shikov Yu.P., Sokolova E.V., Egorov-Tismenko Yu.K. [Волошин А. В., Пахомовский Я. А., Яковенчук В. Н., Меньшиков Ю. П., Соколова Е. В., Егоров-Тисменко Ю. К.] (1996): Kamphaugite-(Y) and tengerite-(Y) from amazonite randpegmatites of the Kola Peninsula [Камфагит-(Y) и тенгерит-(Y) из амазонитовых рандпегматитов Кольского полуострова]. Zap. VMO [Зап. ВМО], 125, 1, 109-119 (in Russian). Dana, J.D. (1868) System of Mineralogy, 5th. Edition, New York: 710; Palache, C., Berman, H., & Frondel, C. (1951), The System of Mineralogy of James Dwight Dana and Edward Salisbury Dana, Yale University 1837-1892, Volume II: 275. Sjögren (1906) Geologiska Föreningens I Stockholm. Förhandlinger, Stockholm: 28: 96; Palache, C., Berman, H., & Frondel, C. (1951), The System of Mineralogy of James Dwight Dana and Edward Salisbury Dana, Yale University 1837-1892, Volume II: 276.
ⓘ Roscoe Beryl Mine (Roscoe pegmatite) ? ⓘ Rode Ranch pegmatite ?